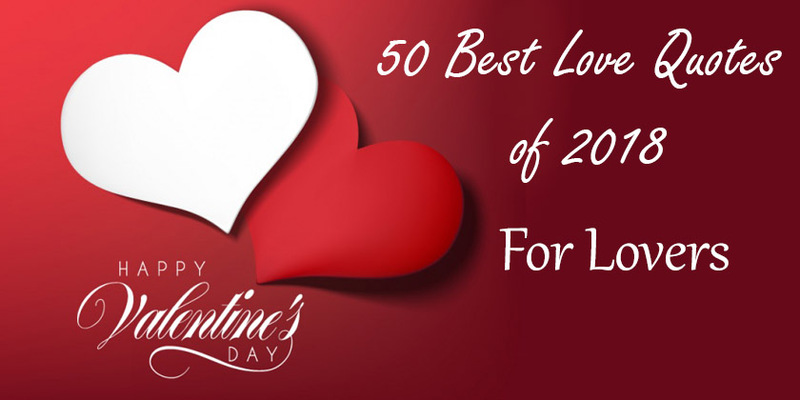 I have collected 50 best love quotes of 2018, share the best love quotes to your loved ones and let them know how much they mean to you. True love never dies and some people can only get that and know the value of true love. Be sure to check the best love quotations below and send them to your besties and protect them always in your heart. I choose you and I’ll choose you, over and over and over. Without pause, in a heartbeat and I will keep choosing you. Distance isn’t an issue because, in the end, I have you. My day is not complete if I don’t tell you I love you. They say you only fall in love once, but that can’t be true. Every time I look at you, I fall in love all over again. Real love is when a relationship never ends, through positive and negative times. When I first met you, I honestly didn’t know you were going to be this important to me. I’ll never finish falling in love with you. Sometimes someone comes into your life, so unexpectedly, takes your heart by surprise and changes your life forever. Love is seeing a person every day and still missing them when you’re apart. Love is respect, but not submission. How amazing is it to find someone who wants to hear about all the things that go on your head. Me and you! We could make the whole world jealous. You stole my heart, but I will let you keep it. Go for someone who is not only proud to have your but will take every risk just to keep you. Love is a promise, love is a souvenir, once given, it is never forgotten, never let it disappear. I keep myself busy with things to do, but every time I pause, I still think of you. Do you know what would look good on you? Me! Love is a faith that dreams will come true, love is you. I wish I could copy and paste you into my bed. My heart is perfect because you are inside it. I always wake up smiling, I think it’s your fault. I fell in love with you, because you loved me when I couldn’t love myself.